Today is the last day of my exhibition, Malfunction Baroque at the Rayner Brothers Gallery in Whanganui. 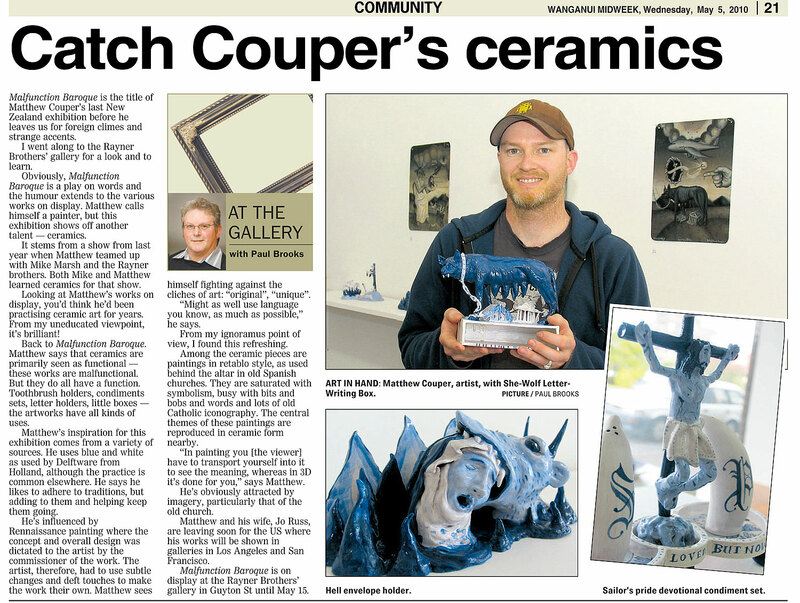 Below is a recent article about the exhibition by Paul Brooks from the Wanganui Midweek. Click on the image to enlarge it.